The new year is almost here, and many of us are thinking about resolutions that include working out, eating healthier and getting in shape. We have our own resolutions at the Ohio Bureau of Workers’ Compensation (BWC): we resolve to help more employees get home safe and sound every day. That is why we’ll continue our focus on wellness and workplace safety in 2018. Ohio employers and workers both benefit when injuries don’t occur. A stable, productive workforce saves employers money they can invest in their companies. Likewise, workplace injuries can place a physical and financial strain on workers and their families. This is the impetus for our new wellness initiative coming in early 2018. An overwhelming amount of research shows us that a healthy lifestyle leads to wellness in virtually every facet of our lives, including the workplace. BWC’s new wellness program will offer Ohio workers in small businesses a variety of services. Details are being finalized, but the program will offer services such as health risk assessments, biometric screenings, personalized health plans and coaching, chronic disease management and more. This is geared to help workers live a healthy, balanced life – factors that can prevent injury, or recover more quickly if they are hurt on the job. Safety will continue to take center stage in 2018. Safe workplaces have always been our goal at BWC. To increase the awareness of the importance of safety, we will introduce a public health and safety campaign focused on preventing slips, trips and falls, overexertions and motor vehicle accidents (all of which make up about 60 percent of our injured worker claims each year). · Another $1 billion rebate that increased workers’ comp savings for Ohio employers to $6.3 billion since 2011. · A new grant program that helps fire departments purchase safety gear and equipment designed to protect firefighters from carcinogens and other harmful elements they encounter on the job. · More base rate reductions for Ohio employers. Average private rates are down 28.2%. Average public rates are down 29.6%. · Continuation of our enhanced care program, which gives medical providers greater latitude in treating knee injuries, including allowing them to take a holistic approach to care by treating comorbidities that can delay recovery. · Improvements to our nationally recognized pharmacy department. Through sensible controls and better tracking, we reduced the number of opioid-dependent injured workers by 54 percent to 3,714 by the end 2017. Finally, among our most exciting news in 2017: a decline in workplace injury rates for the fourth consecutive year. Ohio’s rate for calendar year 2016 was 2.7 injuries per 100 workers, compared to the national average of 3.2. That half percent means Ohio has 20,369 more people returning home safe to their loved ones than if we were just performing at the national average. Building a culture of safety across the state is at the heart of our work at BWC. Our efforts are paying off, and we are more committed than ever to the safety, health and economic well-being of our state and its citizens. 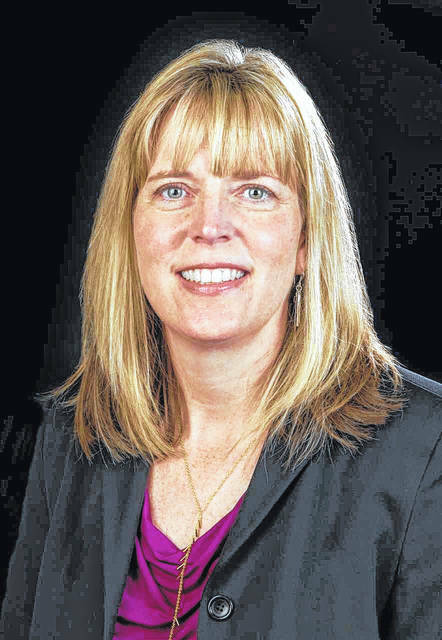 Sarah D. Morrison is the administrator/CEO, Ohio Bureau of Workers’ Compensation.